LLL East Kent will be holding a family event on the 20th October, 1.30pm to 3.30pm at Herne Community Centre. Pop along for some family fun, tea and cake to celebrate our breastfeeding families; everyone welcome! A lovely local photographer has offered to come a take breastfeeding pictures for you to keep, in exchange for a small donation to LLL East Kent. What a wonderful way to capture such a special relationship and journey. More details to follow, so please look out for event posts in your local LLL East Kent Facebook groups. LLL East Kent are pleased to announce that we will be starting up a new meeting in Margate, starting on the 1st October, 2018. ​This will be held at Beet Bar, in Market Street carpark, CT9 1ED. ​Look out for event posts in your local LLL East Kent Facebook groups for further details. Please join us to celebrate LLL West Kent's 25th Anniversary! On Sunday 9th September, we are having a party to celebrate 25 years since LLL Rochester was founded. This has since expanded to become LLL Kent and now more recently, LLL East & West Kent. We would love to celebrate with the families we have had contact with over the years. If you have been part of LLL West Kent's 25-year history in any way, please come along and celebrate with us. As with all LLL events, babies and children are warmly invited! Please bring the whole family. If we have nice weather (fingers crossed! ), this event will be held in the church gardens, otherwise it will be in the hall. There will be cake, hot and cold drinks and other snacks as well. We will gladly welcome contributions to the snack table. Please bring along a picnic blanket if you would like to sit outside (chairs will also be available). ​We hope you'll be as excited as us to know that we have had some specially commissioned LLL Kent pin badges made for you to buy! ​These badges have a white background, with a gold trim and a double pin fastening. Every penny raised goes to back into group funds. Ask your local Leader for details on how to buy one of these beauties! LLL East Kent are excited to announce that we have lots of fundraising events coming up this summer, so do pop along and join us! LLL East Kent: Canterbury is hosting a Family Fundraising Walk along the River Stour and then finishing up at Dunelm Mill café for refreshments. ​LLL East Kent: Herne Bay is hosting a Family walk along the Viking Coastal Trail to Reculver country park, with a BYO picnic in the park afterwards. ​LLL East Kent: Canterbury's annual cake sale in Wincheap play park is not to be missed! Starting on the 31st of May 2018, LLL East Kent will be holding meetings in Whitstable. ​They will be held in The Bubble Café on the last Thursday of the month. Look out for event posts in your local LLL East Kent Facebook groups for further details. Thank you to everyone that came and supported the Woodland Walk, which took place on the 9th of May, 2018. The weather was kind to us, we managed to spot some bluebells and we raised £35 for the group! Lucy is now leading meetings in Sevenoaks as well as in Tonbridge. These meetings are currently held bimonthly in Sevenoaks. ​Please confirm exact time and location before setting off. Meetings in Tonbridge have now run for just over two years! As LLL Rochester celebrates its 21st Birthday we are delighted to announce a change of name to LLL Kent. This will reflect the way LLL Rochester has grown from one leader's front room in 1993 to groups across the county being led by 16 Leaders trained and accredited by the team in Ashford, Faversham, Folkestone, Maidstone, Rochester and Tonbridge. LLL Kent: Ashford Meetings, LLL Kent: Faversham Meetings and so on. We hope the new name will mean mothers can find and access breastfeeding support, information and encouragement with greater ease. Please help us spread the news and LLLove by sharing this news with anyone who may be interested. LLL Kent is proud to announce that Katy and Rachel have completed their training and are now fully accredited LLL Leaders. 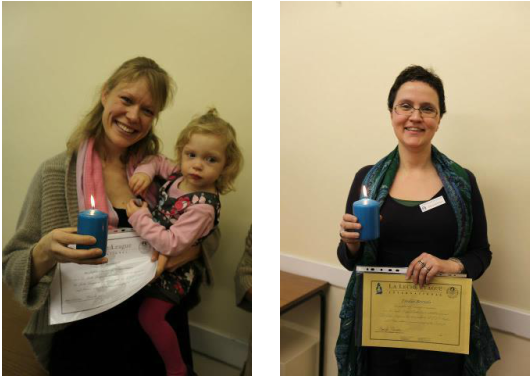 Katy is starting meetings in Folkestone and Rachel is joining Sarah to lead meetings in Faversham. We wish both a very warm welcome to the team! The new Maternity Clothes Library, currently based in Ashford, is open to mothers across Kent - for more information contact Louise on 01233 332470. October 2014 - HAPPY BIRTHDAY LLL !! Newspaper coverage of our LLL Rochester 20th anniversary party. Some inaccuracies but at least it got in there. You need to close the pop up page that opens in front of the whole newspaper page and then you see our piece properly without the jump to another club! LLL Rochester 20th Anniversary Party! 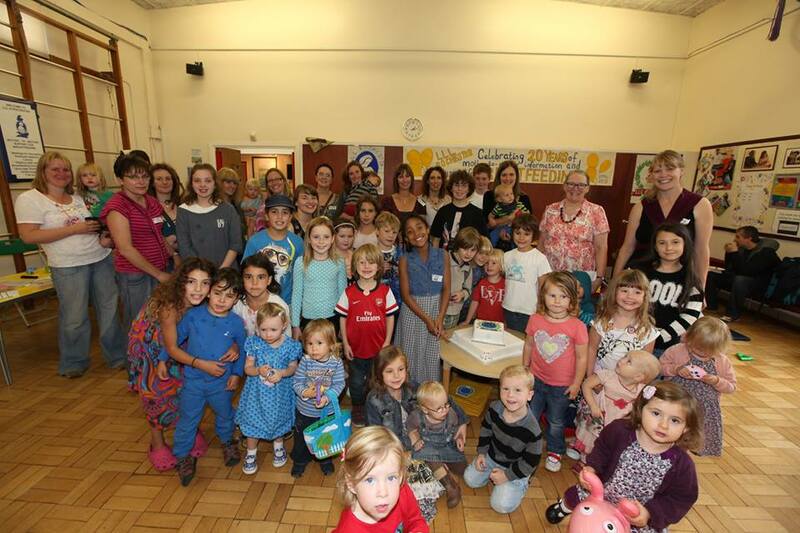 We celebrated our 20th Anniversary in the children centre in Rainham! Founded in October 1993 LLL Rochester was started by Deborah Robertson in 1993 at her home in Rochester and has grown as others have been trained to be breastfeeding counsellors/group facilitators. LLLGB has a new website! their thoughtful, warm and encouraging contributions to group discussions. hard to learn facts and practise skills to prepare them to get to this stage of being internationally accredited as a La Leche League Leader. encouragement, information and education, and of promoting a better understanding of breastfeeding as an important element in the healthy development of the baby and mother. Please support La Leche League GB every time you shop online at no cost to you. With Give as you Live, thousands of brands including Amazon, Play.com, John Lewis and Expedia have signed up to donate a percentage of every purchase you make online to us. All at no cost to you and at no cost to us. The average shopper will raise £2.10 per month through what they already buy online. Simply visit http://www.giveasyoulive.com/join/lalecheleaguegb and discover Give as you Live today. In addition to the £2.10 raised per month, Give as you Live will donate an additional £5 to us once you spend £10 or more through Give as you Live. Please try Give as you Live today: http://www.giveasyoulive.com/join/lalecheleaguegb and pass this message on! LLL of Rochester at the RCM conference in Maidstone. Local Leaders and mothers recently 'woman-manned' a stand at the Maidstone and Tunbridge Wells Midwives Conference. Photos, quotes from mothers, books, leaflets and breastfeeding fairy dust were aplenty at the display which was ideally located for every midwife to walk past on their way to their seminars. A personalised letter was given out explaining who we are and what we do, as well as our business cards. 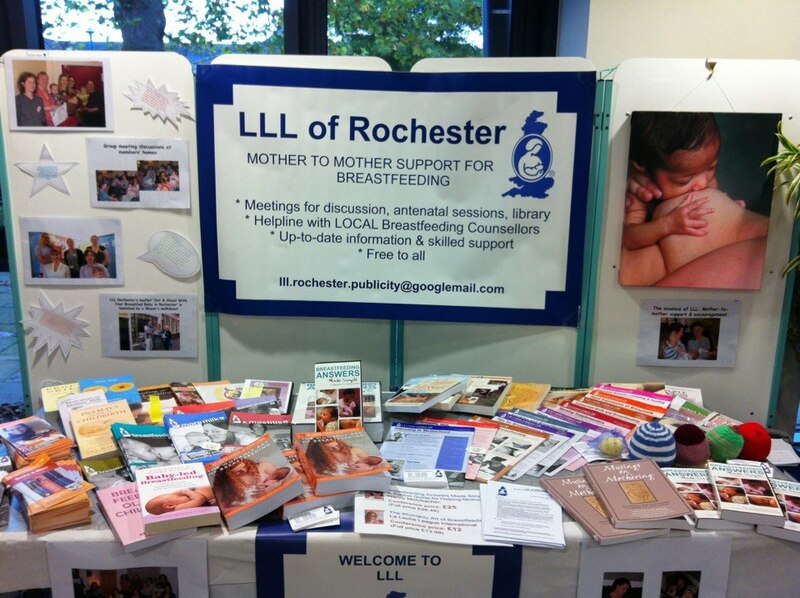 It was wonderful that so many know about LLL and even more so when we spoke to Student Midwives and others who didn't!